This mod add 6 new items to the mod, along with crafting recipes. 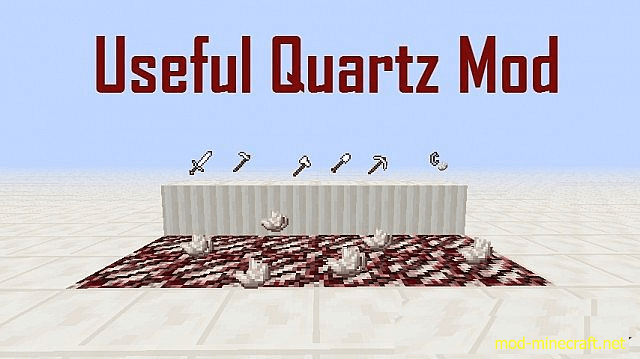 Quartz Sword: Same strength as iron, equal durability as well. Beat stuff up with quartz. 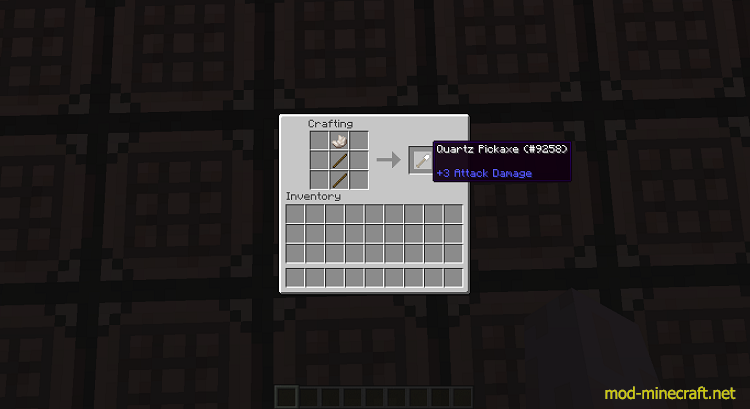 Quartz Pickaxe:Same strength as iron, equal durability as well. Breaking metal with a crystal, what is wrong here? 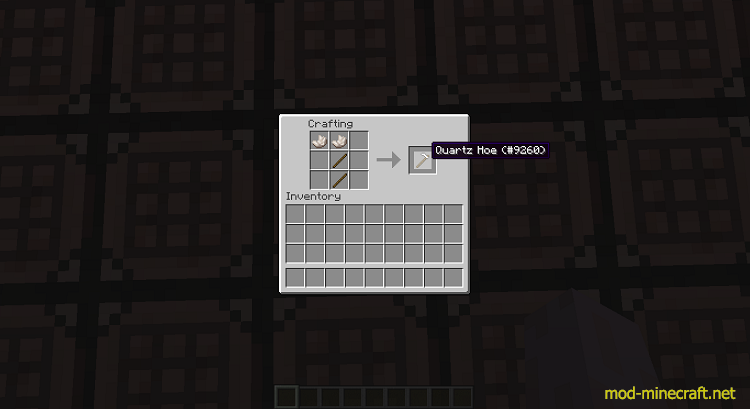 Quartz Shovel:Same strength as iron, equal durability as well. Quartz Hoe:Same strength as iron, equal durability as well. Yes you can plant stuff with a crystal. Quartz Axe:Same strength as iron, equal durability as well. Used for the same thing, just looks nicer. 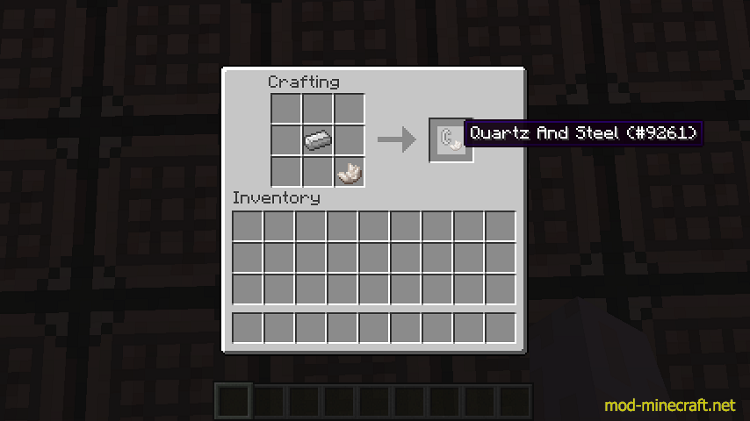 Quartz and Steel: Just like flint and steel, except with quartz instead of flint. I’m not just adding this in for no reason, this can be used to start fires in real life too.